A collaboration with composer Nye Parry and artist Madi Boyd that turned Hull’s Scale Lane Bridge into a giant musical instrument as part of Hull UK City of Culture 2017. 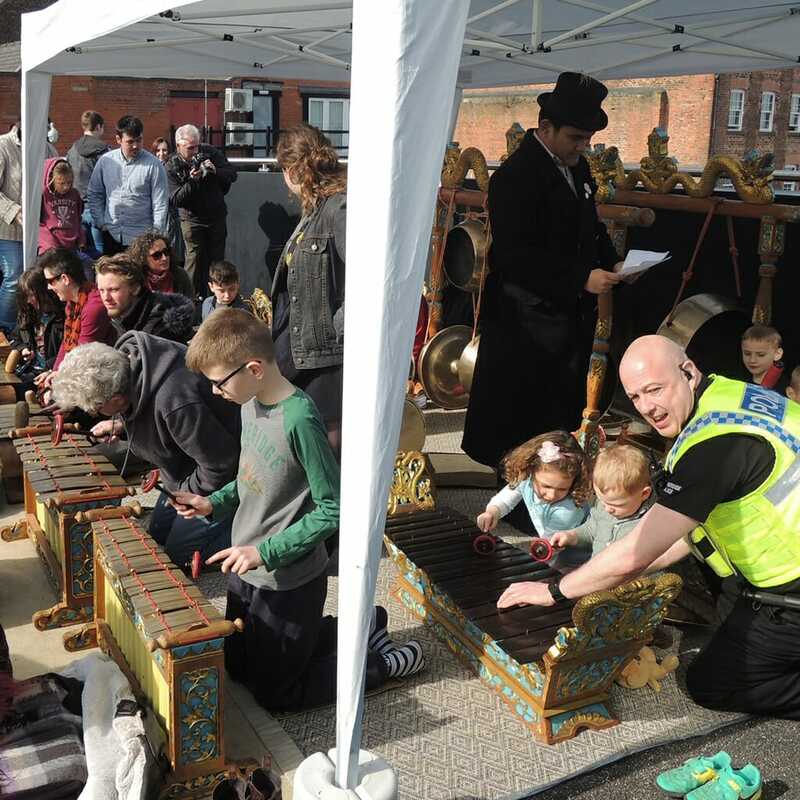 The project aimed to transform people’s experience of a major civic structure and deepen its cultural presence in the city. 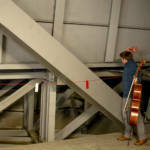 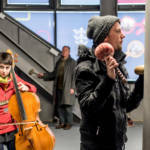 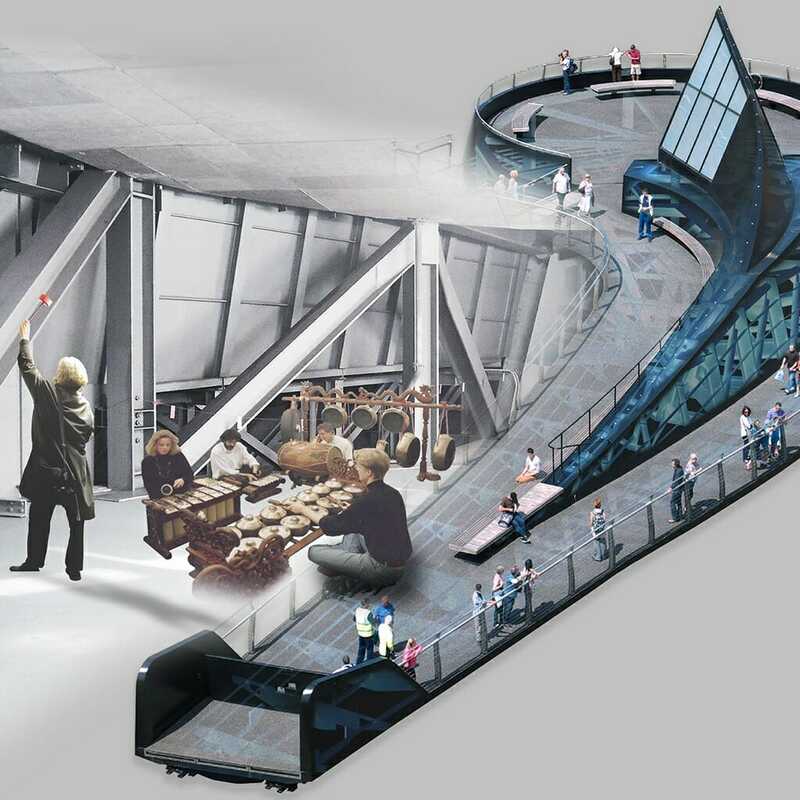 Through a series of workshops, performances and audio/visual installations on and inside the bridge, the public were given hands-on access to explore the sonic potential and physicality of the massive structure while glimpsing its hidden workings and construction. 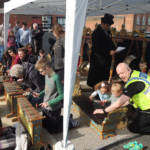 Over 5000 people participated in the events over several weeks. 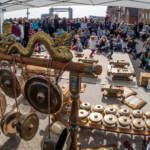 The performances drew on the tradition of Indonesian gamelan, music made by striking tuned metal. 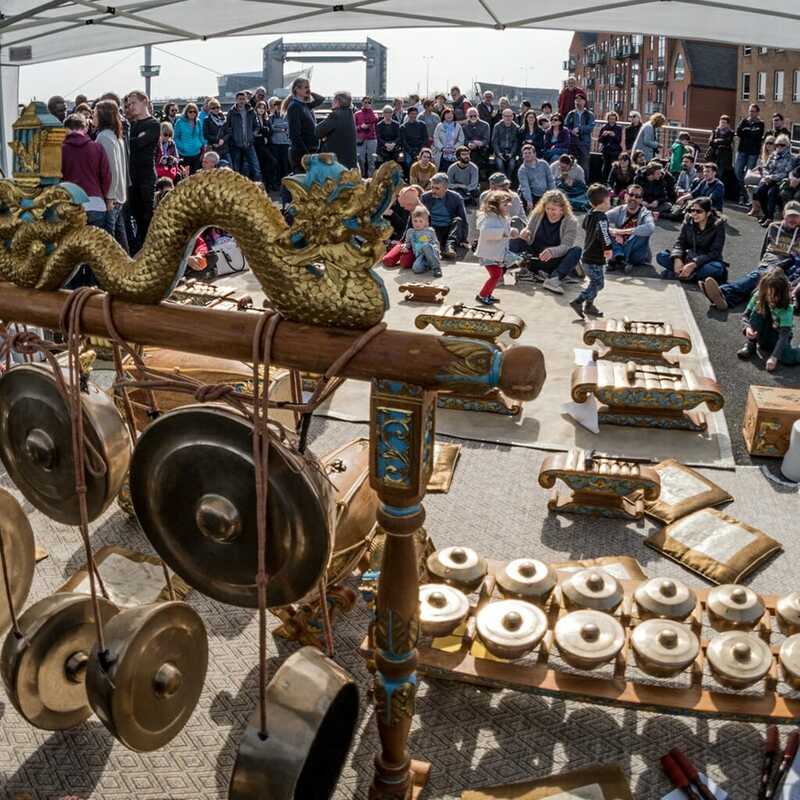 It included traditional pieces, played by novices as well as experienced players, and a new piece created by the workshop participants who played the steelwork of the bridge itself like a huge gamelan instrument. 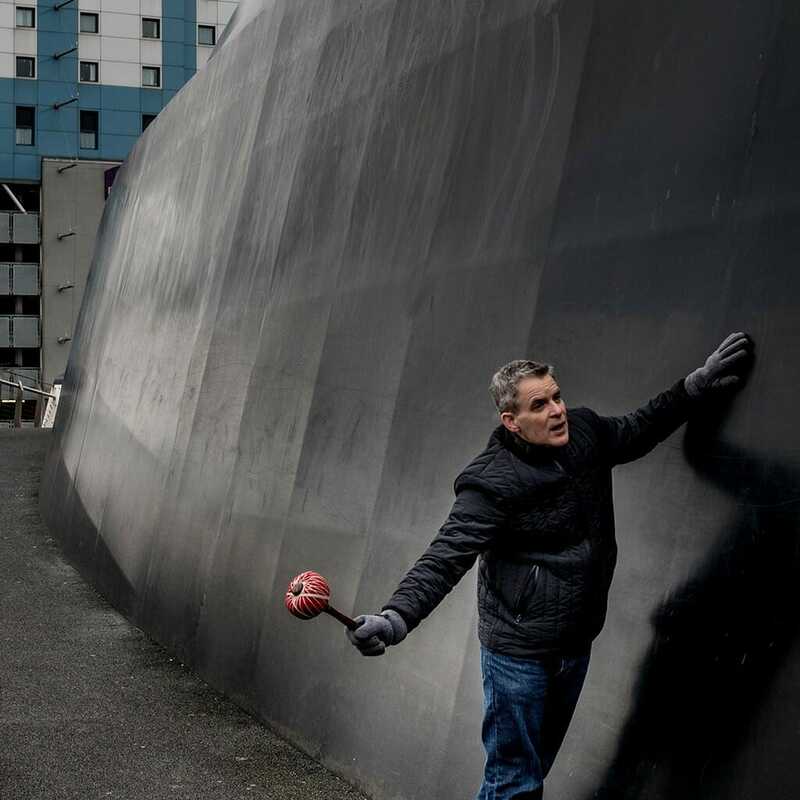 The installation included a spatial soundscape of recordings made during the project along with stories from the people who constructed the bridge. 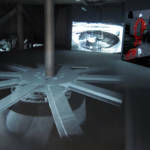 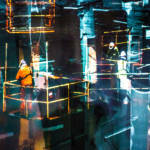 Moving projections combined images of the construction with computer-generated xray-like views of the mechanics and the water below. 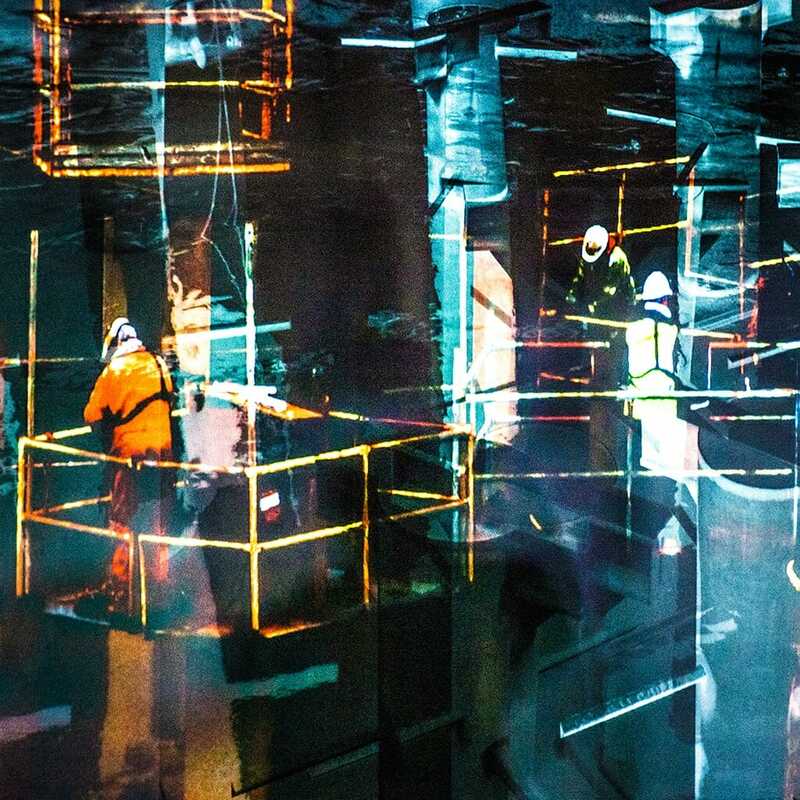 The project was presented at the IIICH ‘Bridge- the Heritage of Connecting Places & Cultures’ Conference 2017. For Scale Lane Bridge project see here.